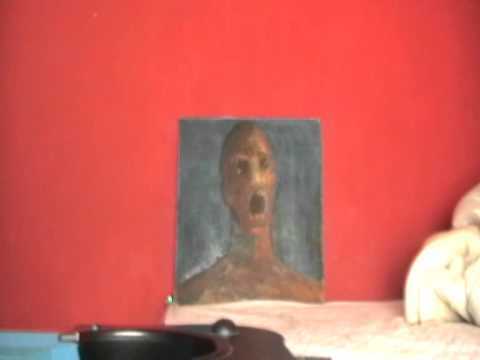 Home » GHOSTS » The Most Haunted Painting In The World? 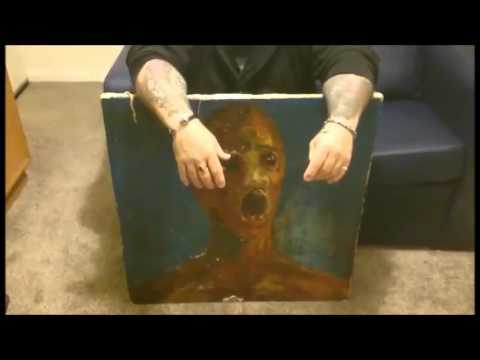 For over two generations, the painting known as The Anguished Man has been shrouded in mystery and plagued with strange occurrences. The story begins with a woman receiving the painting and taking an immediate dislike to it. 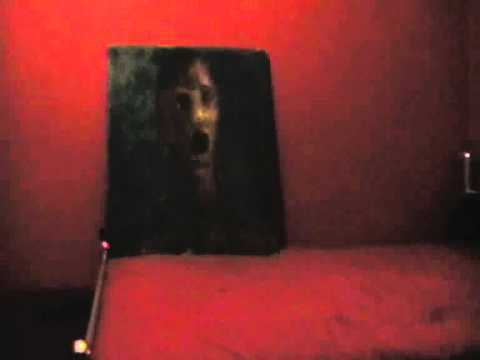 She told her friends and family that the painting seemed to have brought an evil presence with it into her home. After some time, put the painting in her attic, where it remained for 25 years. She then passed the painting on to her grandson, Sean Robinson. 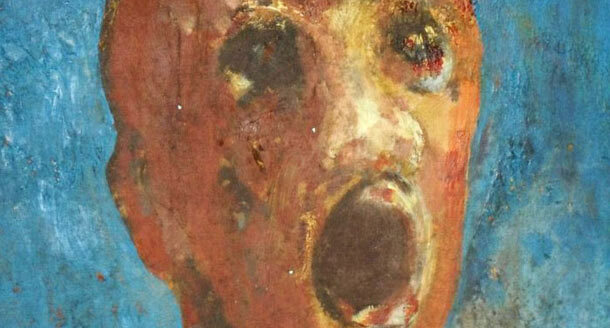 His grandmother insisted that the painting was evil and that she wanted him to keep it locked away in storage. Sean was not a believer in the supernatural or in the paranormal, so upon his grandmother’s death he accepted the painting. Sean enjoyed this new painting since it was an oddity and an interesting conversation piece. He would recall his grandmother telling stories about the painting when he was a child. One story was that the artist committed suicide shortly after the painting was completed. Another was that the artist had mixed his own blood into the paint used on the project. She heard strange noises and even seen the figure of a man in the darkness. After possessing the painting for a while. Shawn and his wife started to experience strange events in their home. At one point they could hear crying sounds in their house, they were also starting to see a dark figure standing at the foot of their bed. The features on this dark figure were blurred and could not be made out. It got so bad that his wife refused to stay in the house as long as the painting was there. Over the years the painting has been examined by several paranormal investigators, with mixed results. Here is an article from the website weekinweird.com that includes an email from Shawn Robinson himself. The Torturous cries of “The Anguished Man” Painting. 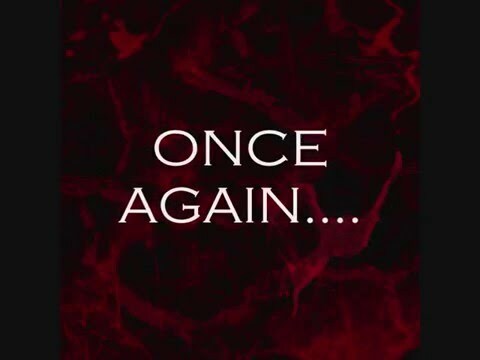 Here are videos from Sean Robinson’s YouTube Channel.